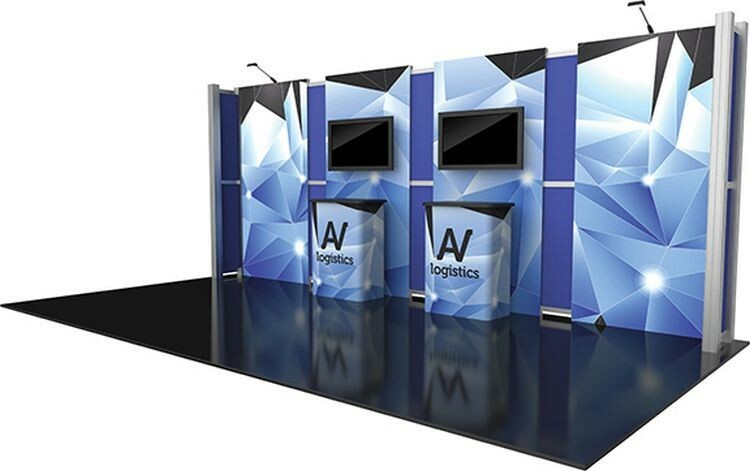 Hybrid Pro Modular Kit 13 is an eye-catching 10ft x 20ft inline display solution, perfect for the serious exhibitor, and featuring a heavy-duty aluminum extrusion frame coupled with seamless push-fit SEG fabric graphics and rigid graphic inserts. Kit 13 is accented by dual monitor mounts and backwall counters with locking storage. Kit 13 is reconfigurable into 10ft x 10ft Kit 05, increasing the value, lifecycle and functionality of the exhibit.